What I learned from this test? In auto mode, the Galaxy Note 5 does an excellent job of setting the correct ISO, white balance, and shutter speed automatically to give you the best photos and videos with minimal noise while the LG V10 doesn’t do as well especially as the scenes got darker. 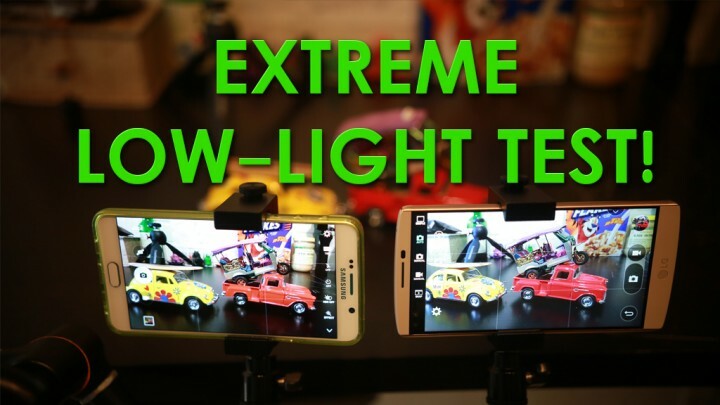 Of course, this is an “extreme” test, testing almost near dark situations and for most low light situations, both phones will do equally well. As for manual mode, the LG V10 was able to bring more detail with its super high ISO of 2700, getting photos and videos where the Note 5 completely failed. Now, this did come at the cost of a lot of noise but LG V10 clearly beat out Note 5 in almost complete dark situations. Overall, the two cameras on both Galaxy Note 5 and LG V10 are plenty capable while the Note 5 is much easier to use with auto mode that works well out of the box. On the other hand, LG V10 also does just as well as the Note 5 but to get the most out of it, manual mode must be used in certain low-light situations or the camera will overcorrect ISO to give you noisy photos/videos. Next story Nexus 6P Unboxing! Previous story HighOnAndroid Smartphone Reviews!